Today, Rita Leganski, author of The Silence of Bonaventure Arrow, has stopped by to answer questions about writing, her book tour through the South and much more. On Friday, Rita will be back to reveal #literarycrush, #literaryconfessions and favorite authors. The Silence of Bonaventure Arrow was March’s She Reads book club selection so that is how I became familiar with Rita. When she came to an independent bookstore near me, I made sure to go and meet her- just so I could tell her in person how much I enjoyed the book! In 15 words or less, how would you describe The Silence of Bonaventure Arrow to readers? A mute little boy with magical hearing discovers family secrets. Rita, you are not from the South- and yet, The Silence of Bonaventure Arrow sounds like a book a Southern writer created. How did your favorite Southern writers influence your writing style? More than anything else, I think I was influenced by their literary “voices”. The cadence of their sentences contributes so much to the storytelling, and they take full advantage of Southern vernacular to convey a certain regional mystique. Characters written by Southern writers are almost always complex in that they inhabit their own inner world while functioning in the outer one. It makes them quite fascinating. Recently, you and The Silence of Bonaventure Arrow went on a book tour of several Southern cities. How was that experience? Oh, I just loved every minute of it! Let me tell you, I was on the receiving end of Southern hospitality nonstop. One thing I really enjoyed was the architecture. There’s a certain look to those cottage-type houses one sees in the South that I find really enchanting. The Southern environment in general, things like the landscape, vegetation, and climate exert such great influence on Southern literature. A Southern setting is like another character. Probably the thing about the South that I noticed the most was how Southerners are so fully invested in what they value, be it literature, food, manners, or reverence. I’ve been invited to attend the Louisiana Book Festival the first week of November in Baton Rouge, and I can’t wait to go back! Could you tell about the first time you saw The Silence of Bonaventure Arrow completely finished- what kind of emotions were you, as an author, experiencing? The first time I had a really emotional reaction was when my editor sent me copies of the layout of the first pages. I saw the HarperCollins imprint and realized that it was the same one that appears in Mark Twain’s books (and many other famous writers). My next really emotional reaction came when I returned the final version (still in manuscript form) and knew that there would be no more changes. It felt like I was sending my child away from me. I would say I went through a kind of postpartum depression after that. When I received the actual book, I had a rather odd reaction. I liked the cover, and seeing my name on it made me cry. But I had a really odd reaction to the story. I’d only ever seen it on my computer screen or on typing paper. When I opened it and started reading, nothing seemed to make sense! I even compared what was on the page to what was in my computer to make sure they were my words. They were, but it seemed to me I’d never seen that story before. It took a while, but I got over it. The Silence of Bonaventure Arrow was March’s She Reads Book Club selection. Through She Reads, many people were able to see and read reviews, and get to speak to you, the author, with use of Twitter chat and the Online Book Club Discussion Forum. As a debut author, how important were those opportunities? Books and reading have been thrust into the digital age. The internet is a universe unto itself. I think its greatest contribution is how it has made so much so easily accessible. Word of mouth is the most powerful marketing tool there is, and things like Twitter offer tremendous exposure. The audience is huge. It’s also efficient in the ways of spreading information. But there’s a personal side to it as well. I get a lot of personal messages through Facebook and email. People send me favorite quotes or relate the story to their own lives. I find it very humbling. The Silence of Bonaventure Arrow- themes of forgiveness, of darkness, of light, love, family and hope. How was it to write a book like this- and with characters that were human, flawed; yet relatable? Honestly, sometimes it was exhausting. There was a point when the characters took on lives of their own, and even I became an observer. The key word in your question is “relatable”. As an author, I felt a great responsibility to be honest about that which makes us human—our flaws—while presenting them to the reader as something they could relate to. The human condition is a massive topic; a writer tries to understand it through her characters in an effort to discover truth. I like to think there are a number of truths woven into THE SILENCE OF BONAVENTURE ARROW. Some have to do with the darker side of the human experience, like grief, judgment, guilt, jealousy, and self-righteousness. But others speak of the very best in humanity; namely, our willingness to forgive and our capacity to love. Love is full of paradox; its greatest might is its greatest weakness. Love puts a heart at risk; it strengthens us as it makes us fragile; it is measured by joy and by sorrow. Rita- are you gathering ideas for a future book? If so, are you still in the early days- or do you have a definite idea as to what the next book will be? I get asked that all the time! I have a couple of stories in the early stages. Sooner or later one of them will take prominence. Whichever one I go with, I plan to stick with magical realism. 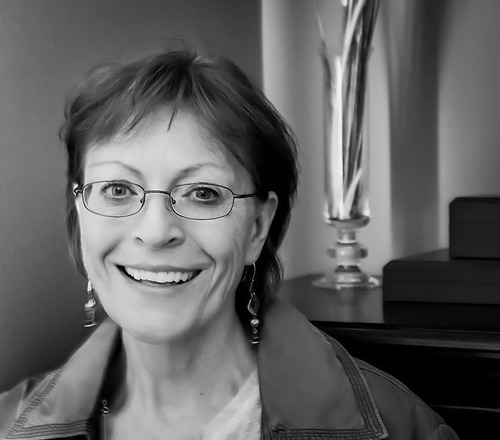 *Special thanks to Rita Leganski for agreeing to be interviewed! 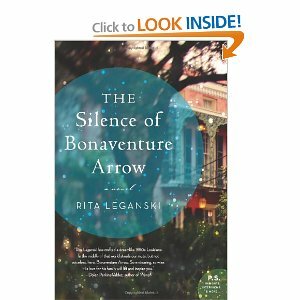 Rita Leganski’s first novel, The Silence of Bonaventure Arrow, was a tale of magical-realism set in the New Orleans area. It’s a book that book clubs should put on their list! Rita, when not writing or working, can be found on Twitter and Facebook. Loved this book- i recommend it to anyone who asks! This has been my favorite SheReads selection so far. I’ve recommended it numerous people and it will definitely be toward the top of my Best of 2013 list. I especially liked this post discussing the book production process and the “postpartum” of releasing for a final time. So interesting and glad to hear about some of the behind the scenes emotions that readers don’t always know about. I was really hesitant at first about this book ( the description was making me nervous) HOWEVER, I’m so glad that I read it (and that She Reads picked it) It was great and Rita was a treat to talk with and interview!